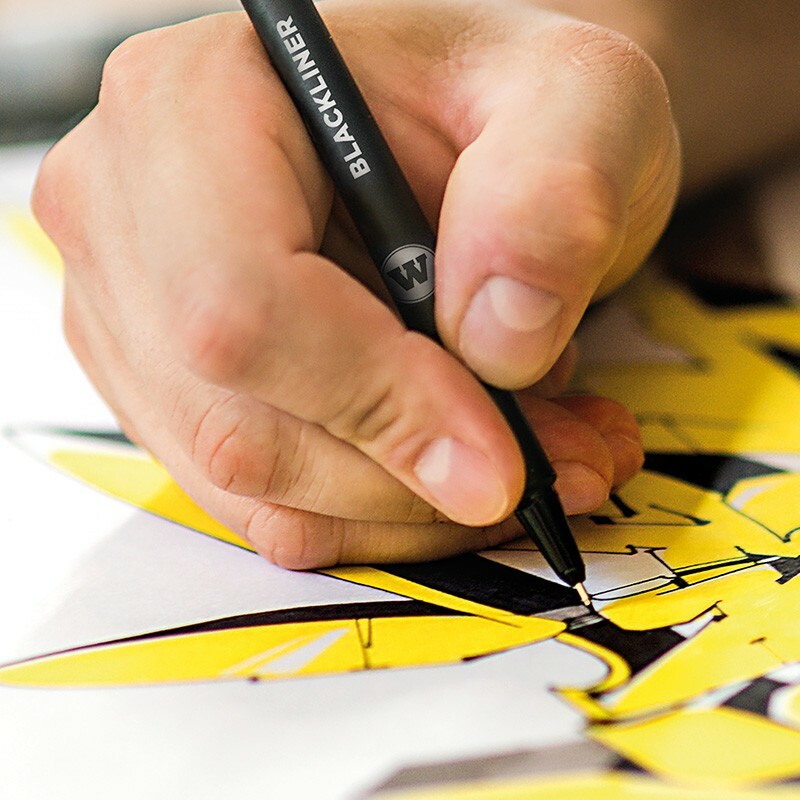 MOLOTOW™ Blackliner is the first joint product of Schneider Schreibgeräte GmbH and MOLOTOW™. 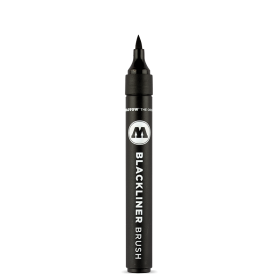 For sketching, outlines, school or as a simple fineliner: Blackliner Made in Germany have a water-based archival ink and are resistant to water and chemicals, too. 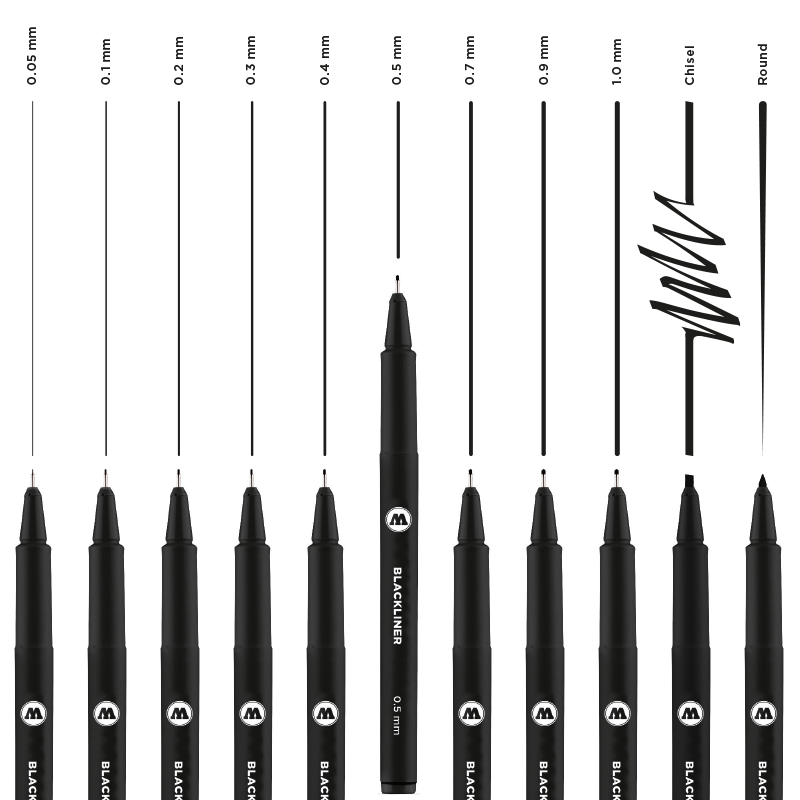 The robust metal-encased 0.3 mm - 1.0 mm tips guarantees fine and exact lines – perfectly suitable for outlines. Due to there "Cap off" function the marker are protected from drying out for 90-180 minutes*. 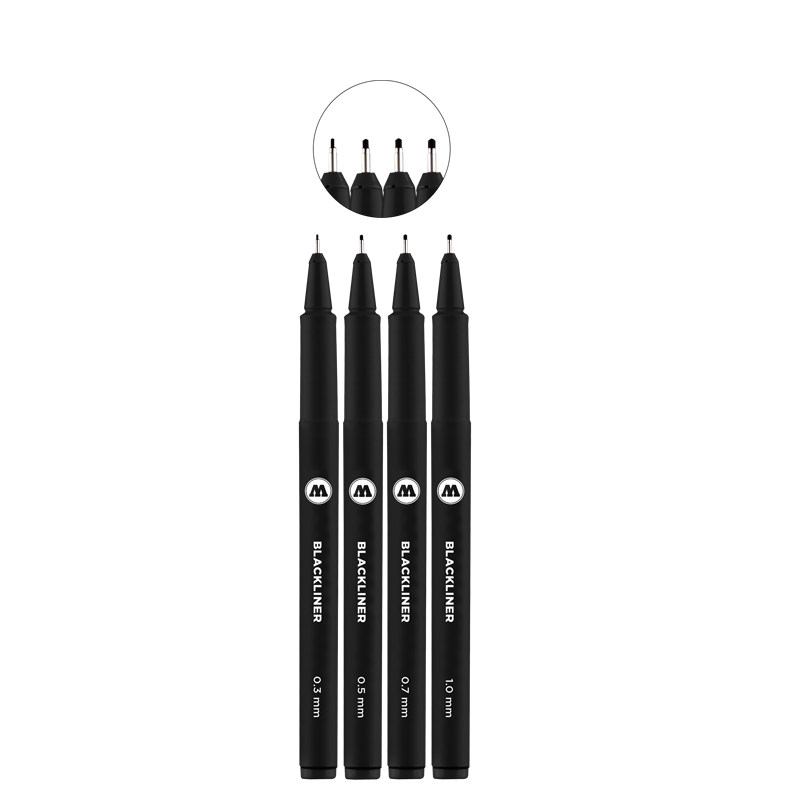 The high-quality Blackliner have a slip-proof, matt surface. 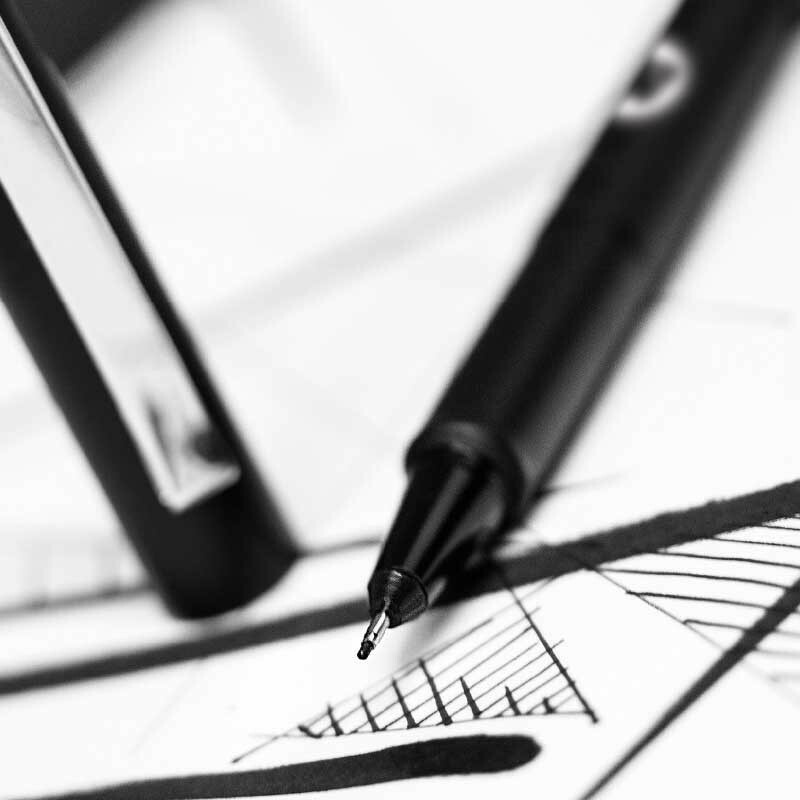 Writing length: up to 2000 meters – tested on MOLOTOW™ Blackliner 0.3 mm in a normal indoor climate of 23°C / 50 % relative humidity on testing paper according to ISO 12757.